Prices quoted are per hour. We have to pay VAT to the tax man, but unlike some other companies we show the prices with this included! Very high standard of work. Excellent service. Will recommend to a friend and will use again. 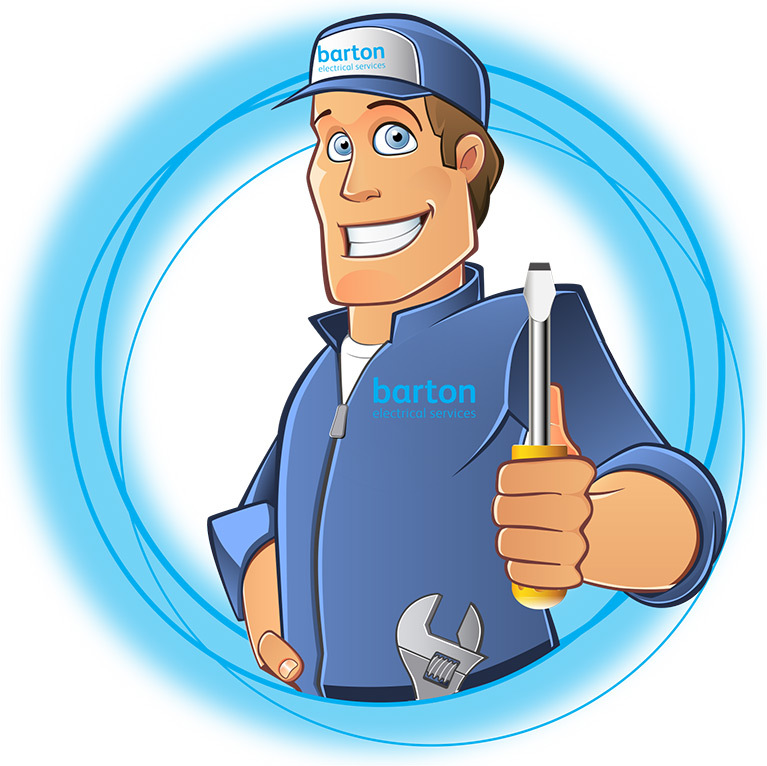 I was 100% happy with the way Barton Electrical handled the job, from my initial conversation with their office right up to the receipt of their bill. A first class firm. Russ and Joe are a very pleasant and professional team and have left us with a shiny new consumer unit and shower wiring for a much needed bathroom overhaul. We now have some spare capacity for extra circuits for the kitchen and lighting as well. Fuse boxes aren't particularly exciting but I can't help feeling proud of the installation! Also thought of some other little jobs that need doing around our flat..... Thanks guys.